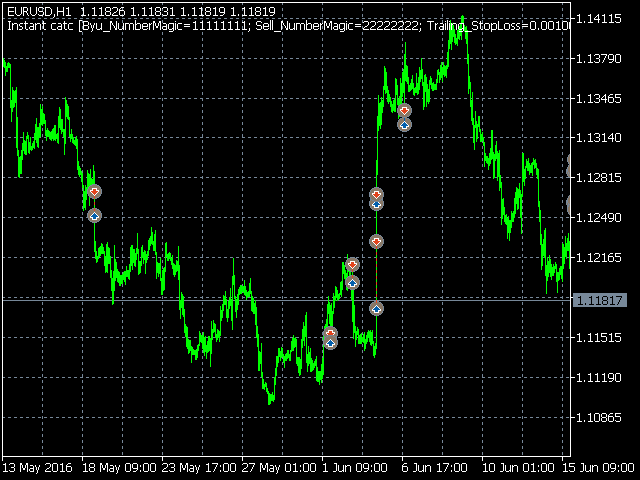 The Expert Advisor can trade multiple currency pairs simultaneously. The robot is able to distinguish its own orders. The EA's objective is to move pending orders following the current price and wait till the price (Ask and Bid) triggers the order. The robot instantly responds to the open order and closes it at once. 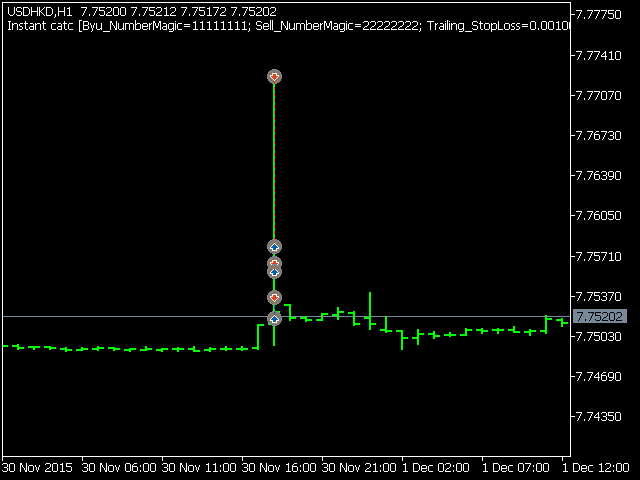 If the order is in spread, it is protected by Trailing_StopLoss of 0.001 points. Make sure that your account has no commission and stop limitations. Buy_NumberMagik - Buy order magic number. Sell_NumberMagik - Sell order magic number. 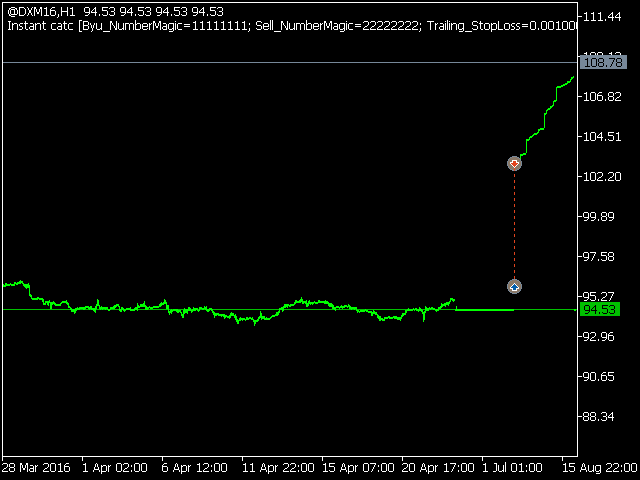 Trailing_StopLoss - close price is set from the order price, 0.001-10 000 points. 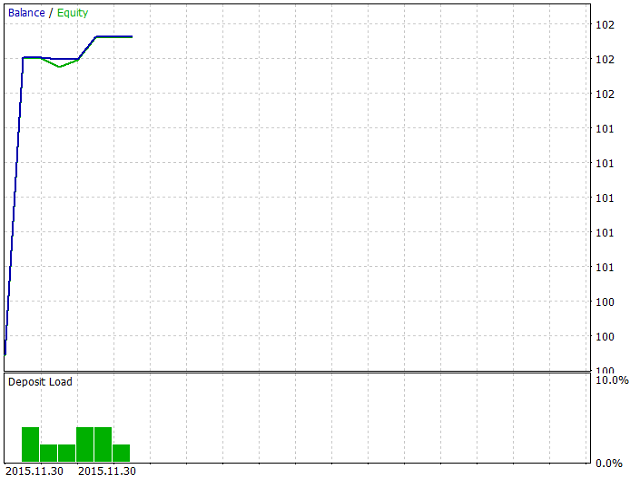 Trailing_Order - pending order is set from the current price, 50-50 000 points. Volume_the_percentage_of_funds - free margin percentage for volume calculation, 0.01-0.90%. Volume_Max - maximum volume, 0.01-1000. 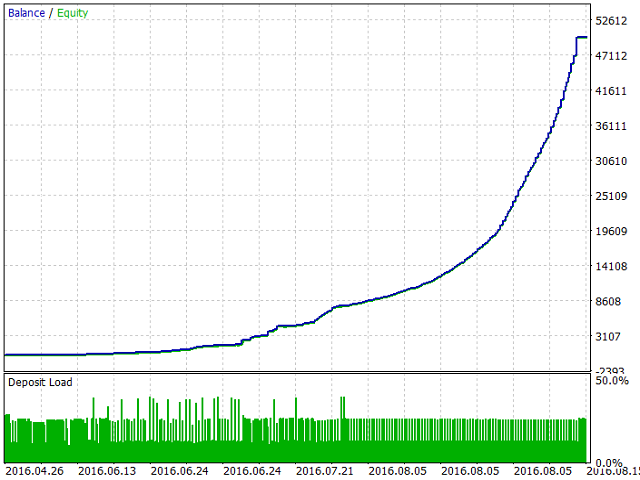 Spread_Max - maximum spread, 100-50 000 points. Buy_NumberMagik and Sell_NumberMagik - make sure the values are different from each other. Volume_Max - disable the volume increase. For example, set to 0.10 so that the volume does not exceed this value. Spread_Max - if the spread exceeds Spread_Max, the EA removes orders and stops working till the spread decreases.